We pedal as fast as we can through a pitch black tunnel as a truck races up behind us. The sound of honking echoes and the headlights become stronger only to remind us of the urgency to reach the other side. Daylight appears and we reach the end of the tunnel just in time to get out of the way of the truck. 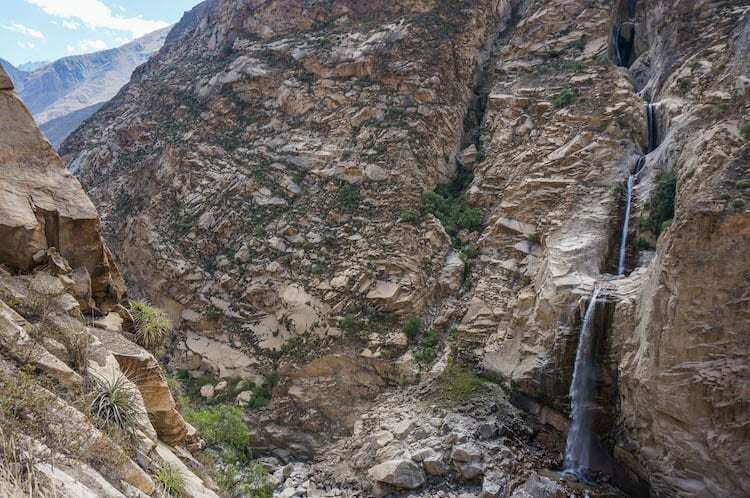 High in the Andes of Peru, a road snakes along a path made of sheer rock, over a steep gorge and passes through 35 tunnels, hand-cut through solid stone. Rock walls tower above the road on all sides and the Río Santa rages below. 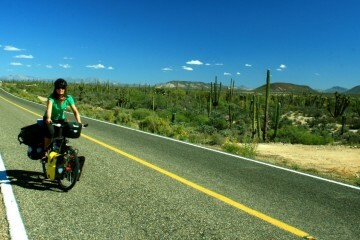 This is the road that follows El Cañon del Pato and today it would serve as our cycling route. Our friend Pablo had just arrived from Spain and needed time to acclimate before hitting the high mountain passes. On top of that Antonio and I were out of cycling shape so we packed our panniers and made a day trip to the canyon. After freewheeling down into a valley from Caraz we reached the first of the 35 tunnels. These hand carved pathways vary in length and design. Not only are they unlit but they are one way. The good news was that the road is well paved. Before each long tunnel, cars are advised to honk. If you’ve been to Peru before you know that honking isn’t something you need to tell drivers here to do twice! Once we entered the tunnels everything goes black. In this extreme contrast from the bright sun, it took our eyes a while to adjust. This made dodging potholes while rolling downhill in the darkness even more interesting. We came to a tunnel that was under construction. We parked the bikes and walked through the open passage. It lead us to the outside wall of the canyon. Looking down we could see the river flowing through the canyon and looking up we could see the walls closing in around us. Pablo describes the rocks best as the fake ones you see at theme parks. The road takes us passed a dramatic canyon where two mountain ranges, the Cordillera Negra and the Cordillera Blanca almost touch each other. The canyon is sometimes only a few feet wide while still thousands of feet deep. 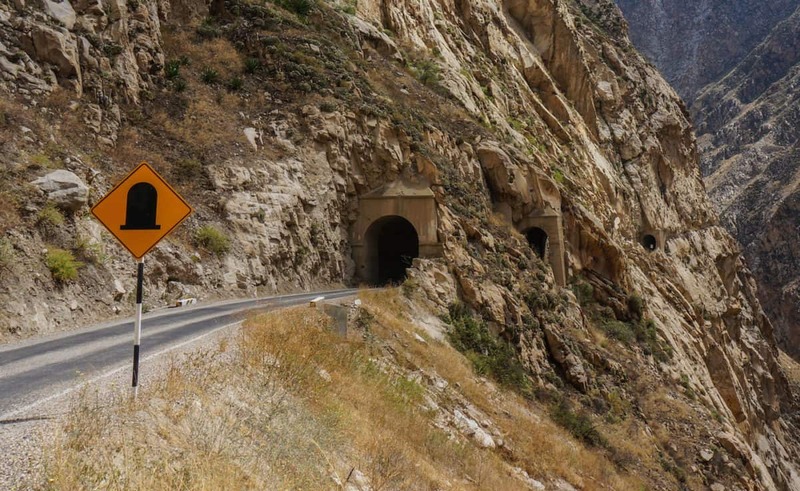 The most impressive sections of road are at the curves where you can see the series of tunnels ahead. To the left we had a steep mountain cliff only passible by the tunnels. To the right there were waterfalls plummeting hundreds of feet into the river below. The sight was unique and like no other road we had pedaled before. 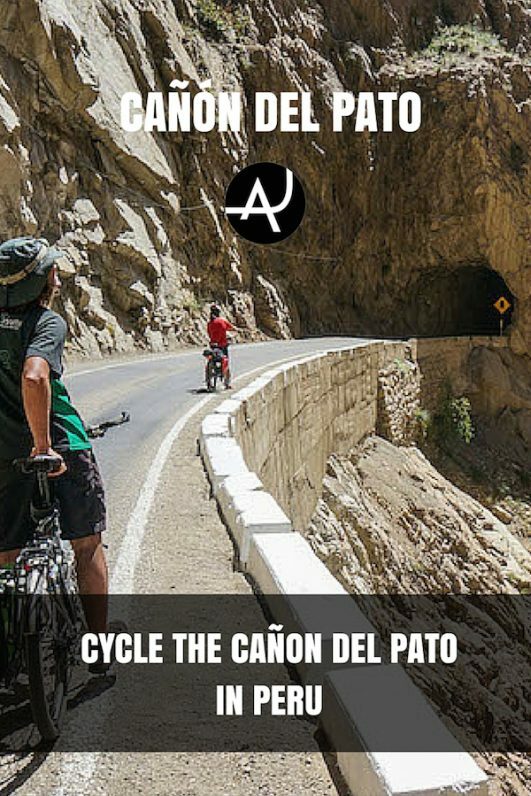 The name of this route, Cañón del Pato translates to Duck Canyon. Not very scary sounding right? However this stretch of road is considered to be one of the most dangerous in the world. It’s oneway dark tunnels, steep cliffs and frequent landslides have taken many lives. 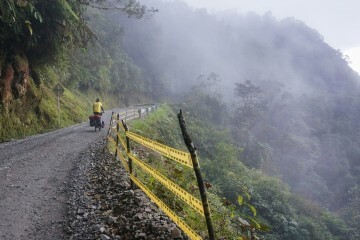 We’ve pedaled other dangerous roads in the past such as El Trampolín de la Muerte in Colombia and in my opinion the safest way to travel these death roads is by bicycle. While the drivers show little to absolutely no respect to cyclists, you have control over your bike and can pull over anytime that you feel unsafe. This is a luxury that you don’t have when crammed in a minivan with a crazy driver behind the wheel. After descending more than 800 meters we arrived to the town of Huallanca. We had lunch and began our climb back up to Caraz. 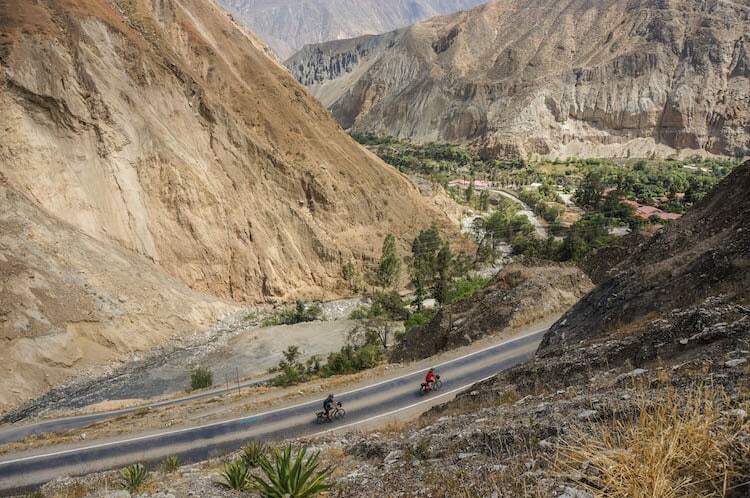 The first kilometers after Huallanca are the a set of switchbacks then the road mellows out into a gradual ascent. Don’t forget a head torch! There are two very long tunnels that have very little light. 5-6 hours (depending on how fast you cycle and how often you stop for pictures) if you plan to do a return day trip from Caraz. Dry season is ideal, from May to September. If you don’t have a bike of your own you can rent one in Caraz. 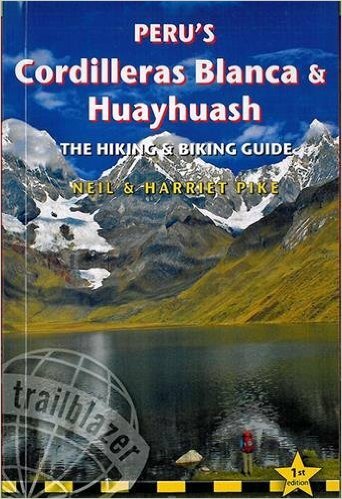 If you are looking for a guide to do El Cañon del Pato and many other cycling and hiking routes around the Cordillera Blanca & Huayhuash, the new guide written by Neil & Harriet Pike is without a doubt the best up-to-date and most detailed resource on the market. 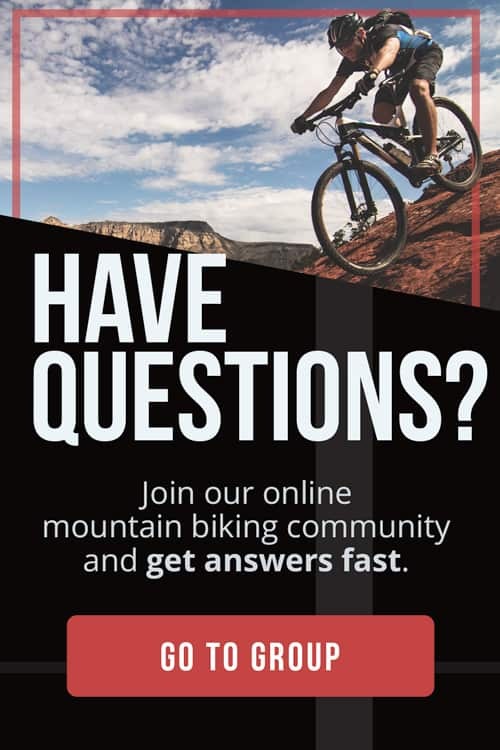 It’s written by cyclists for cyclists. + Cycling through the tunnels was a unique experience. + The view of the canyon and waterfalls. – Trucks and cars drive very fast through the tunnels. 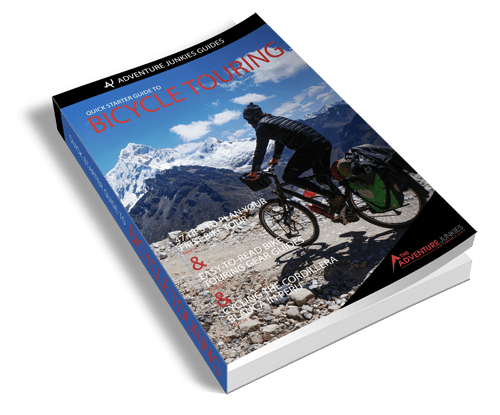 – Peruvian drivers have no respect for cyclists. 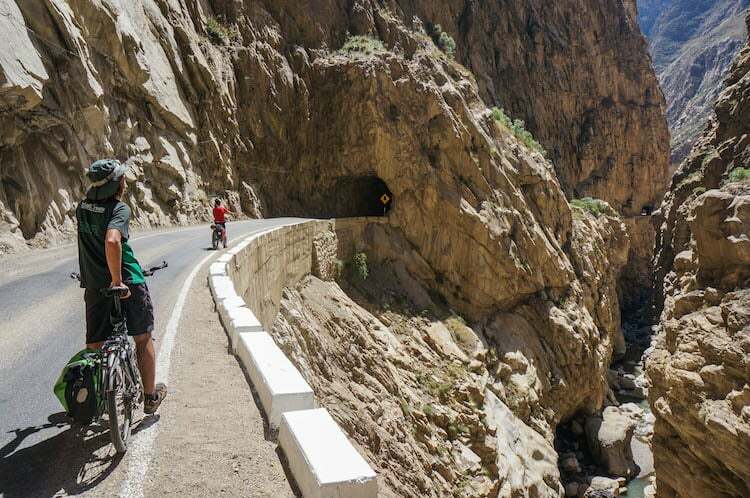 Cycling Cañon del Pato is a fun cycling day trip in Cordillera Blanca that you can easily do from Caraz or enroute for bicycle tourists. 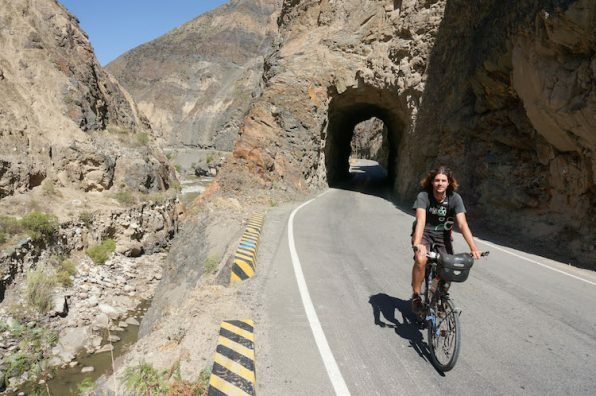 Riding through the tunnels and stopping off to view the deep canyon below is a much more enjoyable way to experience this road than in a car. Location: Cañon del Pato, Ancash Region, Peru. Price: If you have your own bike there is no price. 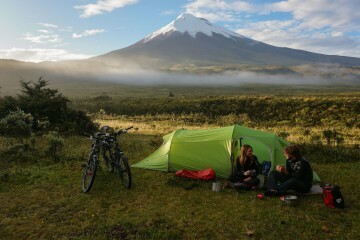 Renting a mountain bike for the day is less than 20 USD. 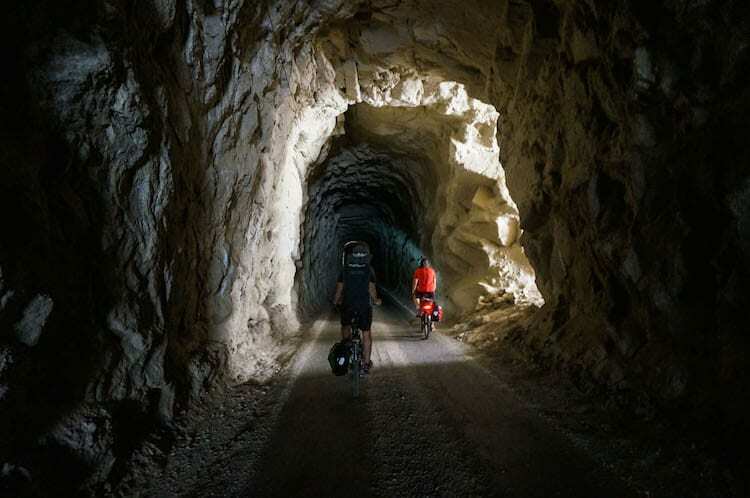 Useful Notes: The most important piece of kit for this ride is a head torch so you can see while you are in the tunnels. Also remember to bring a spare bike tube.